Update as of November 26, 2018 - - - We are inside and hard at work cleaning up the building! There are no doors or windows so that is our next step . The building has openings for 10 windows and two doors. It will cost $150 per window to add shutters and security bars and $200 per door to have a wood door and then a metal security door as well. Please consider sponsoring a window or door with your friends or family! Here's a quick video and some photos so that you can see the inside! 'PEP-3' students need a functional classroom! 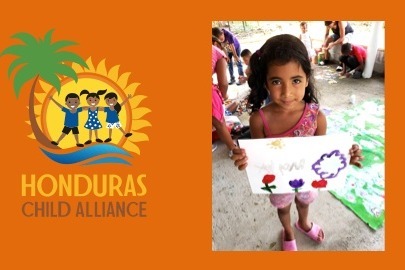 Our Honduras Child Alliance students at the PEP-3 group need their own classroom before rainy season arrives. UPDATE as of October 12th - The initial downpayment goal of $5000 USD has been met! YES!! We can now go to the bank and gain access to the building. From here, we need to raise $12,000 USD more and that is why the goal has been raised. Please continue to share and to talk about this project and thanks so much for your support so far! UPDATE as of October 5th - We're going for it but we still need your help! - - Thanks to all who have donated, we are just about ready (only $850 USD away as of today) to put the downpayment on PEP-3. Then we will move on to fundraise the remaining $12,000 USD balance to make it ours! If you'd like to help, please share this Go Fund Me with your friends and family. Our students are hoping to be in their classroom in time to start VAP in mid-November! All help is appreciated (and donations too, of course)!! 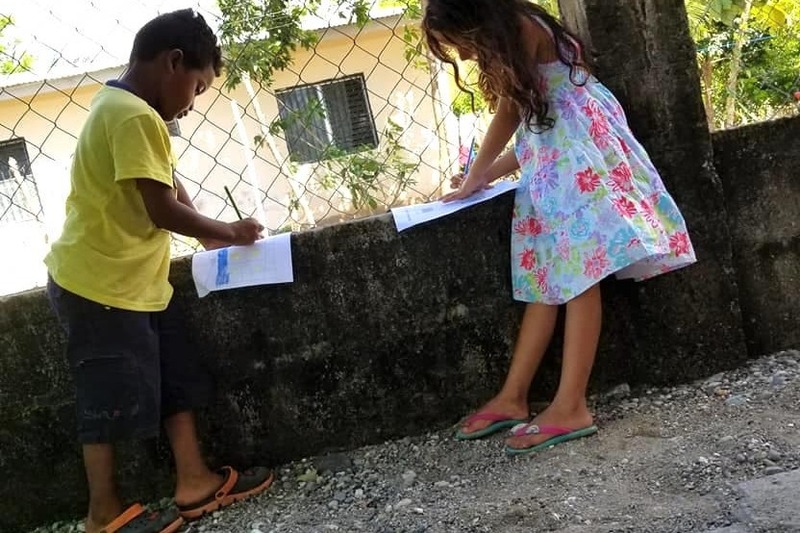 HCA volunteers have provided enrichment classes to the children in Barrio Nuevo since 2014. This was possible at a local church where we have been kindly allowed free use by a local pastor. In March of this year, the church moved premises across the road to a location that is much less suited to teaching classes. The current space is an outdoor area with a metal roof. It protects us from the sun and rain but supplies aren't able to be secured, rain falling on the metal roof makes it impossible to hear each other, and the kids are often tempted to use the stony ground-cover as projectiles. We are profoundly grateful to the pastor for his hospitality, however, the time has come to find our own place. In 2016, HCA supporters successfully fundraised to make possible the purchase of a small house that now holds our PEP-2 location. 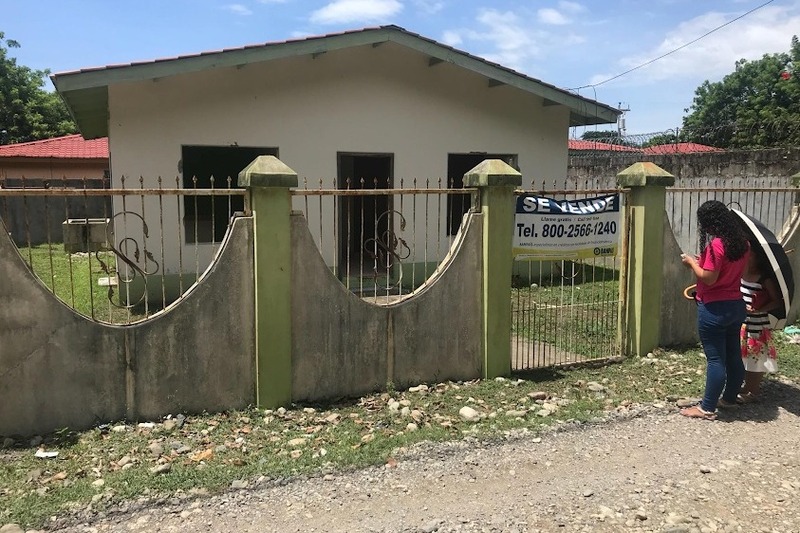 This achievement completely overhauled how we are able to deliver our programs within that community as we now have an attractive and secure space where we can give classes. With an indoor and outdoor learning area, our volunteers are able to comfortably work in small groups, giving lots of attention to each student. With all of this in mind, we have found a property that will be ideal as PEP-3! The building is an abandoned three-bedroom house that has become derelict and stripped of its fittings, windows, and facilities. However, it’s structurally strong, includes a bathroom and a nice size yard, and the location is perfect for our PEP-3 students! - The first step is to raise $5,000 as a down-payment to secure the purchase. 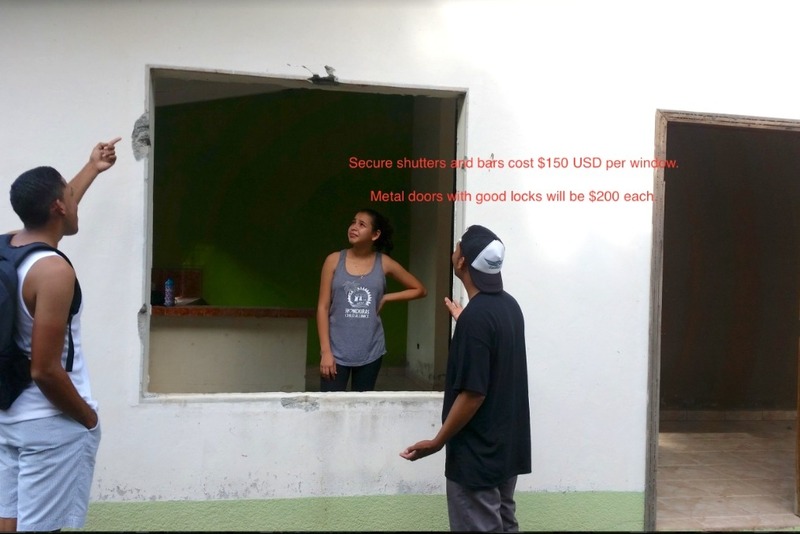 The cost of the property is $14,700 USD, and having done the math and looking at the current state of the property, we estimate that an additional $3,000 will renovate it to a functional state. Legal fees, transfer costs, and outstanding taxes are estimated to be around $2,000, for a grand total of about $20,000 USD. This will be HCA’s biggest fundraiser to date, but for now, we are asking for your help to raise the first $5,000. This will enable us to pay the down-payment and gain access to begin using the property. This is a large but attainable goal and this is where each HCA supporter is essential. Click to donate and please share this page so that we can get the word out as quickly as possible! Help make this PEP-3 dream come true for the Barrio Nuevo students! Your donation makes a difference, so please donate today! Update as of November 26, 2018 - - - We are inside and hard at work cleaning up the building! There are no doors or windows so that is our next step . The building has 10 windows and two doors. It will cost $150 per window to add shutters and security bars and $200 per door to have a wood door and then a metal security door as well. Please consider sponsoring a window or door with your friends or family! Here's a quick video so that you can see the inside! Great news about PEP-3! As you likely know, we've been fundraising for most of the summer to make it possible to put a down-payment on a new classroom location for the students at PEP-3. We're super close to our initial $5000 USD goal. (About $850 USD away as of today.) Once we have the downpayment, we will be able to access the classroom. Rainy season is almost here! Will you help put us over the top for the down payment so we can get these kids inside? What's the plan after that? Good news is that we were able to negotiate the purchase price lower than we originally estimated, so the total we will need to fundraise after the initial $5000 down payment is about $12,000 more ($3000 less than expected). Every donation helps and we're so appreciative of all of the help so far! Are you missing those PEP-3 kids, here's what they're hoping for in a brand new classroom and many thanks to Shiouwen Hong for this sweet video!